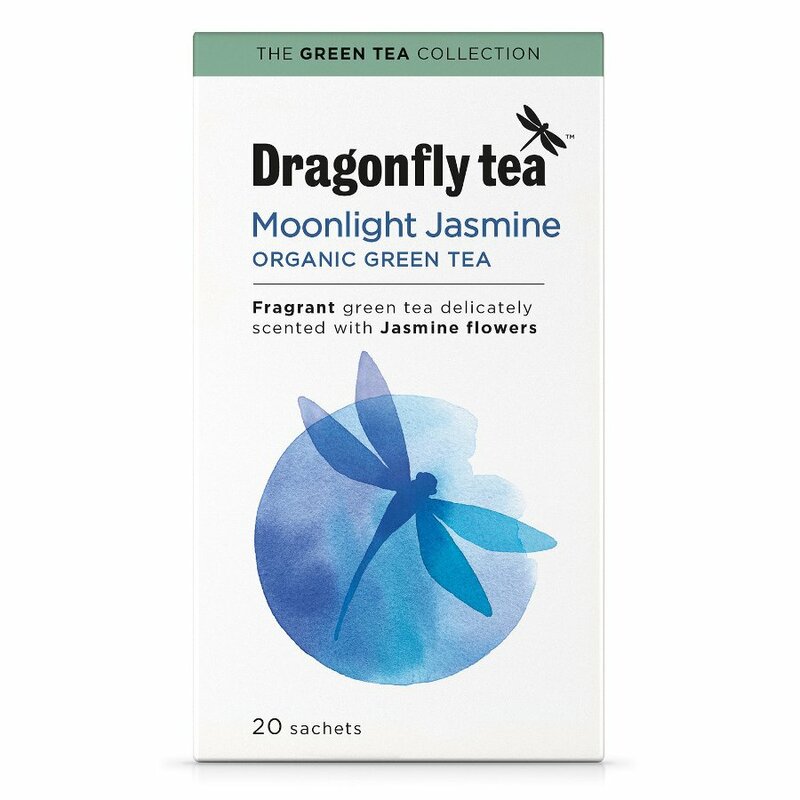 20 bags organic, vegan friendly Dragonfly Teas Moonlight Jasmine Green tea bags. The Dragonfly Teas Organic Moonlight Jasmine Green Tea - 20 Bags product ethics are indicated below. To learn more about these product ethics and to see related products, follow the links below. This is a lovely light tea. 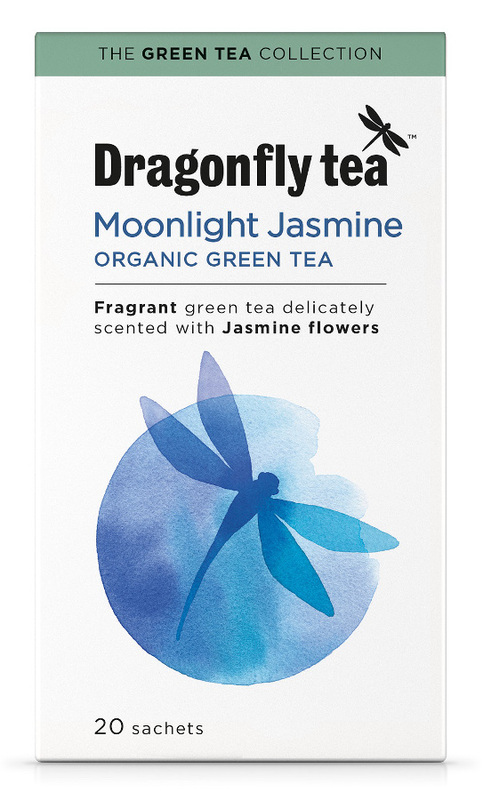 There are currently no questions to display about Dragonfly Teas Organic Moonlight Jasmine Green Tea - 20 Bags. Dragonfly Tea is a British company that has its origins in a long family tradition that goes back to the mid-nineteenth century. Today, Dragonfly Tea specialise in sourcing rare and exquisite teas from around the world. Natural Collection lovesDragonfly Tea Fairtrade Organic Rooibos Tea. Rooibos is the Afrikaans word for \"red bush\". This tea has high levels of antioxidants, is naturally caffeine free and has very low tannin levels.